If you have had a celebration-worthy event recently, such as a wedding, baby shower, bridal shower or anniversary, there is a good chance you have a lot of cards hanging around. There is also a good chance that you haven’t been able to bring yourself to throw them away, but you’re not sure how to save them. Here are some ideas to save and display your wedding, baby shower or anniversary card collection. The Domesticated Diva Blog has come up with an adorable collage using a 2” circle craft punch. With the right matting and frame, this collage would be perfect for a powder room or guest room. Leave it to Martha to come up with an ornament made out of Christmas cards. Holly Goes Lightly takes it one step further using wedding cards by showing you the step by step directions of how to make them here. If you want to re-purpose your wedding, shower, Christmas, etc. cards, you can make cute thank you notes. Cut off the front of each card and turn it into a flat, thank you postcard. 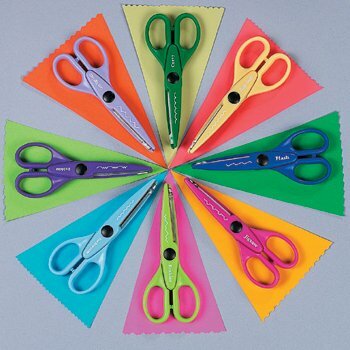 To give it an decorative “edge”, use zig zag craft scissors. If you want to get a little more creative, you can mount them on cardstock cards and add embellishments. If you don’t want to repurpose the cards but want to save them, you can punch holes in them and make a card book or simple put them in a binder with plastic page protector sleeves. Label the binder for the event so you can easily find it when you want to look through it. If you haven’t planned your event yet, consider asking for an alternative to cards. For example, the planners of Hello Productions event coordinator Lindsey Bradley’s baby shower asked guests to write their message in a book for the new baby instead of a card, giving Lindsey and her daughter messages that would last (and a great collection of books!). If you are planning a bridal shower, why not ask guests to forgo the card and instead write a special message on the back of a recipe card – with a favorite recipe of course! The bride will be able to read the messages over and over whenever she makes these special dishes. Have any ideas on how to save cards or card alternative ideas? Share them with us in the comments below!